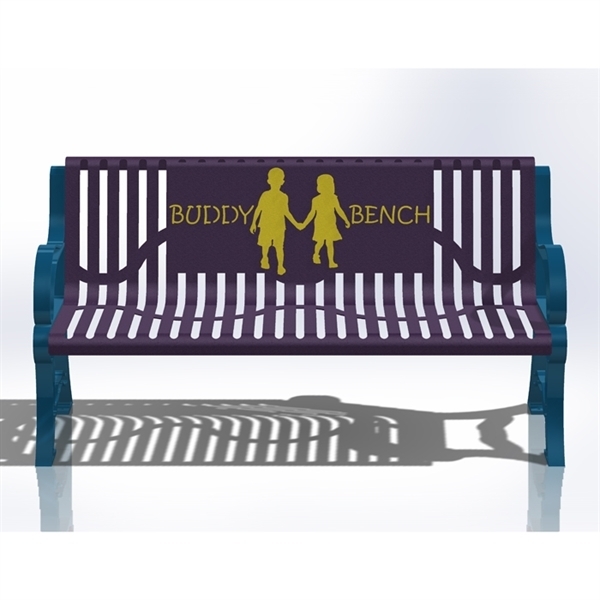 Buddy Bench, 5 Foot Classic Ribbed Steel, 110 lbs. 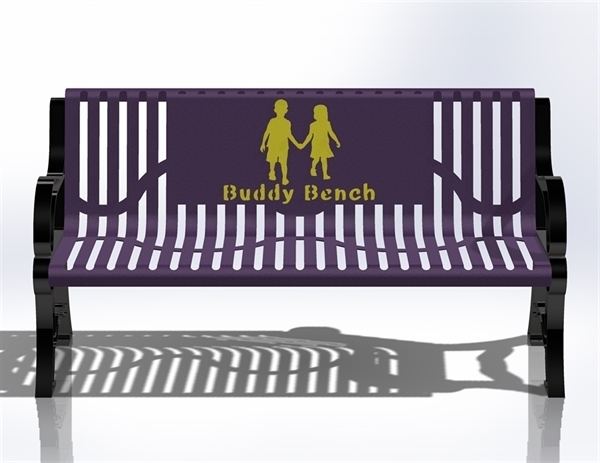 A Buddy Bench is designed for a playground where children who are feeling lonely or sad can sit. When a child sits on the buddy bench it invites other children to socialize. 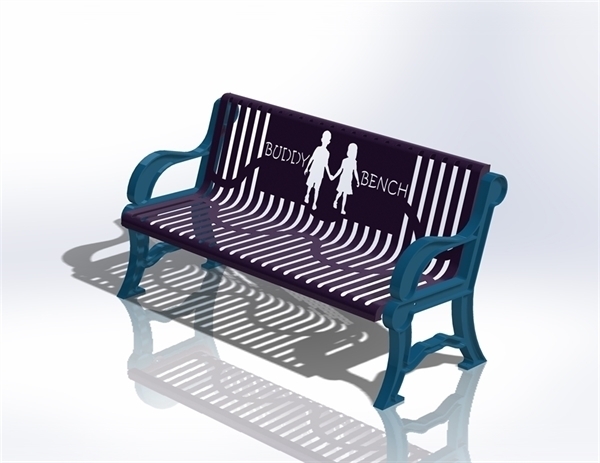 Click on the video to learn more about the story of the Buddy Bench. This Classic Style 6 foot bench has a contoured back and arms. The ribbed steel and cast aluminum frames are coated with thermoplastic to protect against peeling. 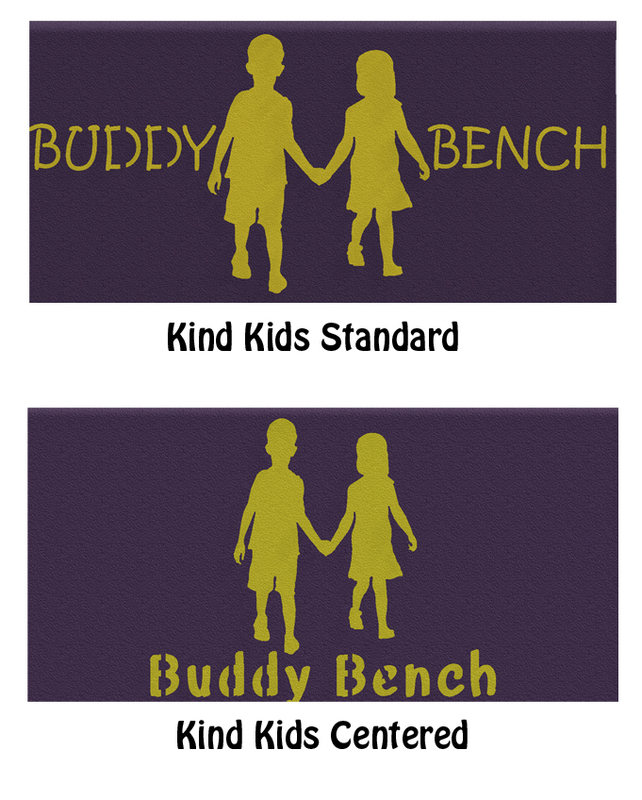 This bench features the “Kind Kids” design, available in either Standard or Centered. 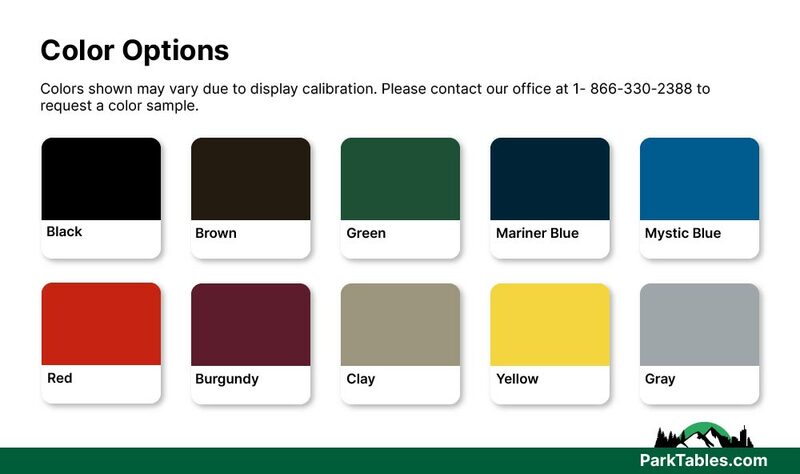 Order a back plate to accent the buddy bench design and text and give us a call to find out how to get your school logo on a Buddy Bench. 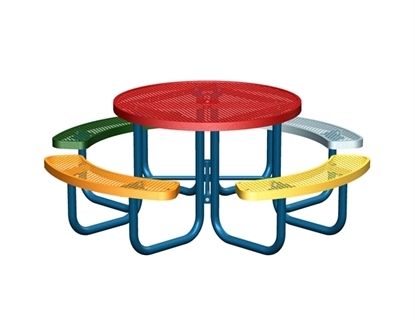 Multi-Color Round Thermoplastic Steel Picnic Table, Regal Style Seats 8 Adults, 239 lbs.